The one thing we can all agree on when booking a winter break is that they’re not cheap. Despite the best efforts of holiday companies to keep prices down, all the different bits involved in a ski trip inevitably add up. 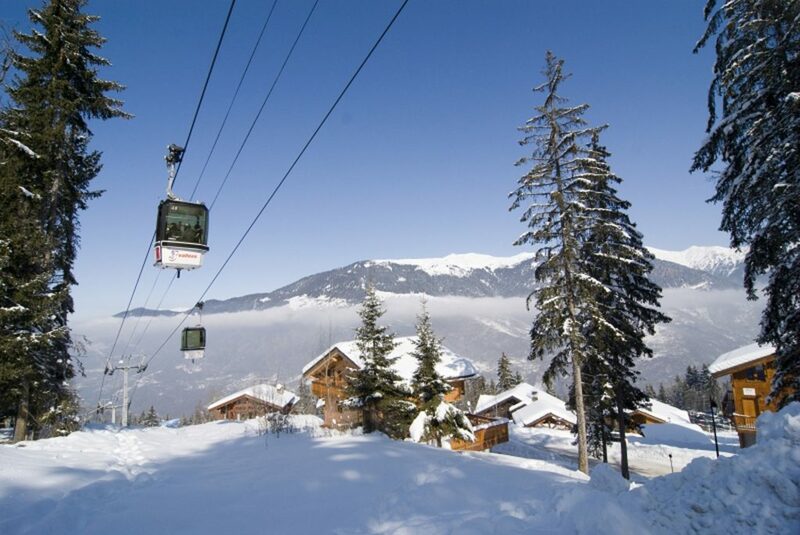 Of course, you want to be out among snow-covered mountains, exploring all of the slopes, eating all of the local cuisine and enjoying all of the aprés-ski activities that are on offer. Ultimately, you want this snowy adventure to last forever and, equally, you want to get your money’s worth. The family holidays that I recall from my youth would generally be comprised of one, sometimes two weeks in one resort or another, skiing as much as we could. That was convenient as two weeks is a very decent amount of time to do all of the above and then some. But now, as a twenty-something “millennial” on a tight budget, those half-month excursions to the Alps or the Rockies are no more, and even finding the funding to fork out on the most affordable of ski trips without maxing out the already severely stretched plastic is a major challenge. So, in order to get to the slopes at all, my snow-obsessed fiancé Fi and I needed to think differently and get with the times. That means a shorter, affordable ski fix is the order of the day, and I can tell you that this certainly satisfies your cravings for the white stuff. I will put to you that the minimum amount of time required to achieve the purest ski trip escapism is four days. 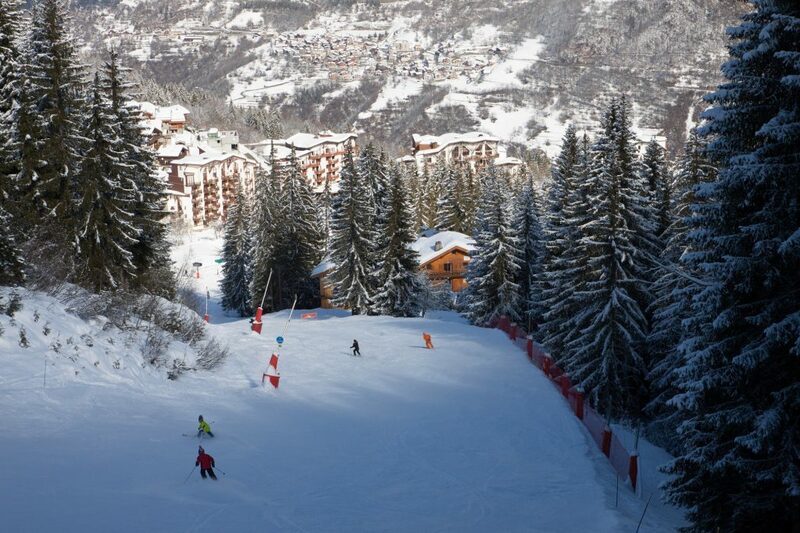 Our latest trip to La Tania, a wonderful little resort based in the Courchevel area of Les 3 Vallées in France, proved as affordable as it was enjoyable – very. Naturally, this was very much a travel-oriented day, and as such was a nice opportunity to catch up on a few podcasts/books. Our journey began at roughly 4am and concluded at near 3pm, with the longest segment of the journey being the coach ride that ferried us from Geneva Airport to our accommodation. 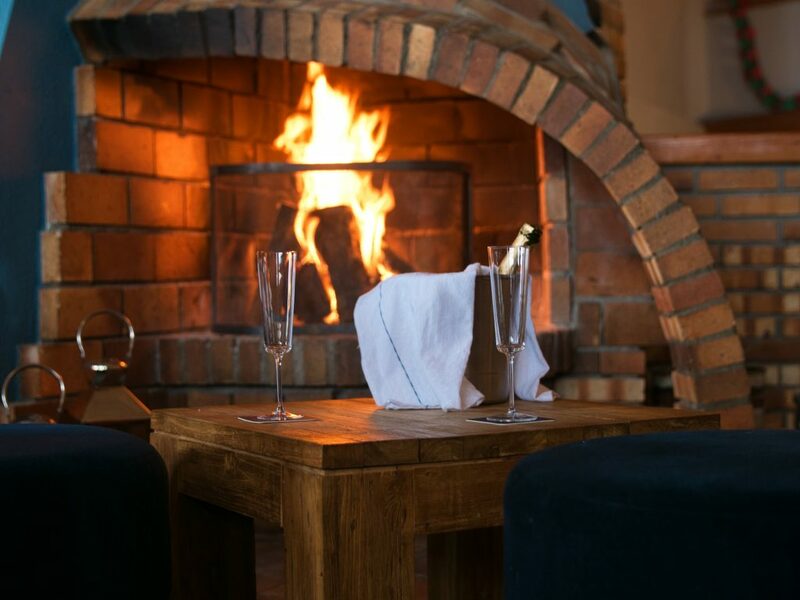 The main perk here is that you are almost guaranteed to arrive at your hotel stress-free, and in hotels as pleasant as the Hotel Montana in La Tania, you can also look forward to a warm welcome from the chief staff. These guys were all an absolute delight, and really will do everything in their power to ensure that your stay is as comfortable as possible. A complimentary glass of wine was also provided, and several more were purchased from the bar while we relaxed by the log fire in the hotel lounge after our trip. We rose bright and early with a big breakfast first on the agenda, followed by easy collection of rental gear. Then straight on to the slopes with the Hotel Montana very conveniently situated beside the main gondola, so almost before we knew it we were up the mountain and on the slopes. As Fi is still relatively new to the world of skiing, we decided to book her in for a couple of lessons with the local ski school – New Generation. A top lad by the name of Josh took the beginners up on a few of the gentler slopes and come lunchtime I was reunited with a much more confident skier. After a quick lunch, Fi and I met with a guide called Sam, whose time we had also booked via New Generation. Again, this informative and friendly fellow deserves high praise; leading us all over the slopes of the Courchevel Valley while being very aware of mine and Fi’s differing levels, he was able to provide top tips for my partner while finding runs that I could happily whizz down. After a long day touring the slopes, we both retired for the night to a delightful dinner back at the Hotel Montana, followed by further drinks in the lounge and live music provided by a talented guitarist. Day three began with another massive cooked breakfast to get our strength up before we headed out to meet Sam again. He led us around a few more areas before leaving us to explore by ourselves. 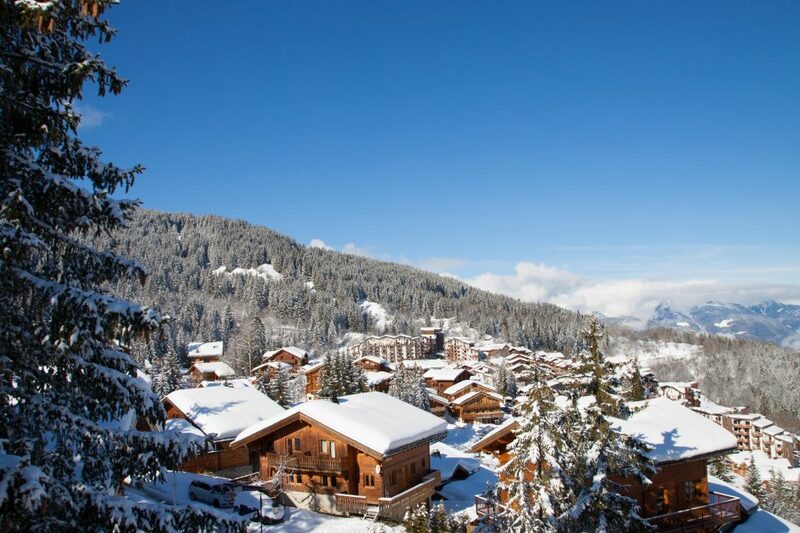 At this point it must be said that when the conditions are good the skiing in the Courchevel region really is top-notch. 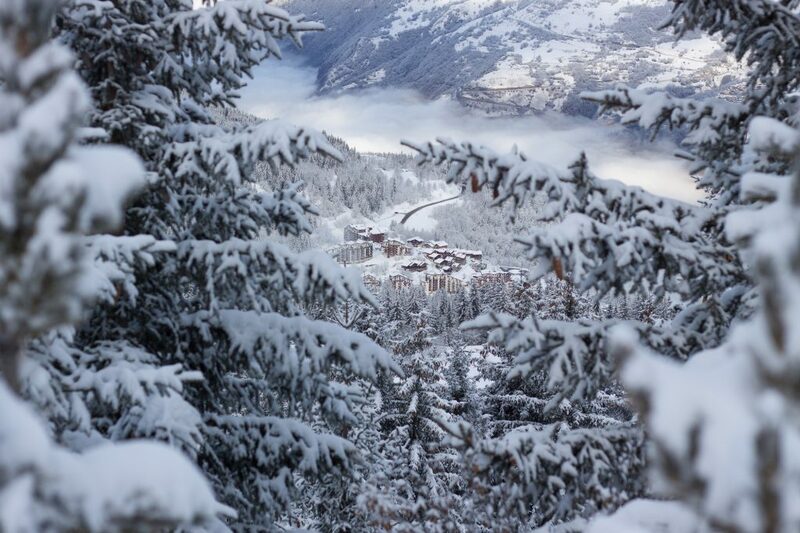 At the very top of the slopes leading into La Tania, an enormous snowy basin opens up before you, just begging to be explored. Fi and I threw ourselves in, and before we knew it we were completely lost (in a good way) between various little groups of trees, pistes and lifts. If you have good conditions, the compulsion to ski till you drop is a very welcome danger. Suffice to say, this day flew by with such enthusiasm and joy that we nearly collapsed on our return to the Hotel Montana, but after a short nap we found ourselves back in the hotel restaurant with a large plate of food brought straight out (our orders having been taken during the previous night’s meal for maximum efficiency) and another relaxed night in the lounge playing cards and pool. As we neared the tail-end of our trip, the conditions for skiing were slightly less pleasant, as a thick layer of cloud descended upon the mountain range, but due to all the skiing of the previous couple of days, this did not bother us too much. I always love the moment when your chairlift breaks free of the fog and you look back to see the carpet of grey stretching out to the horizon, although skiing back into that is rather less fun. Due to the difficult conditions and our own weariness, we decided to finish on the slopes slightly earlier on this day, returning our rentals shortly after lunch. After relaxing in the lounge a while longer, we popped over to a local restaurant to enjoy a fabulous cheese fondue. Relaxing with some fantastic French cuisine and friendly company made for the perfect finale to our mini-break and we headed back to the airport in the evening.